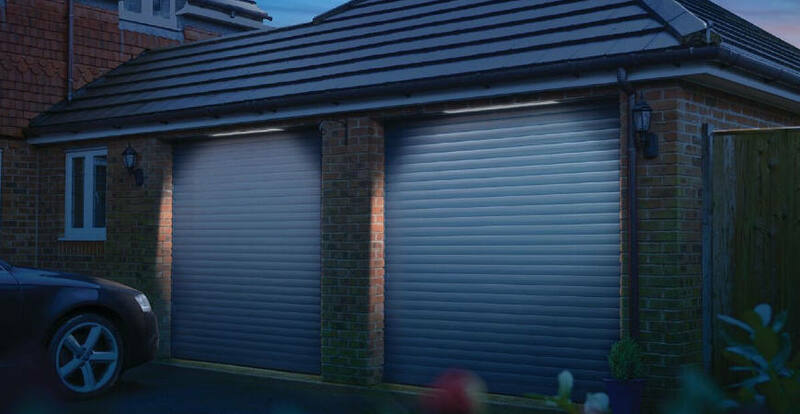 Seceuroglide offers a range of premium roller garage doors that are both visually stunning and effortlessly practical. At Wessex Garage Doors we regularly supply Seceuroglide doors to our clients across the South East and hold years of experience in providing advice and guidance to help you make the perfect door choice for your property. If you are interested in having brand new Seceuroglide doors installed at your home, please don’t hesitate to contact us. The Seceuroglide range has been designed and created in the UK – it has been developed with an excellent understanding of the needs and requirements of modern garage doors for your home. Placing a focus on both style and convenience, the Seceuroglide doors have a simple operation and attractive appearance that can work with any style of property. Wessex Garage Doors is proud to supply Seceuroglide models and many of our satisfied customers have chosen this manufacturer. These roller doors look fantastic on both modern and traditional homes with a choice of 18 paint or wood-effect finishes. Some models are even available in any RAL colour and so can be entirely customised around your needs. Undoubtedly one of the best features of the Seceuroglide models is their fantastic practicality. The doors open vertically, which maximises space on the driveway and inside the garage. The doors also slide with minimal noise and require very little maintenance which makes them extremely easy to live with day-to-day. Constructed using double-skinned, foam-filled aluminium panels, these doors are well insulated and highly secure thanks to their durability. Seceuroglide also makes safety a top priority with Safety Edge collision and Anti-Fallback devices as standard. Seceuroglide doors are unsurprisingly popular thanks to the benefits of choosing them. Are you interesting in getting a quote for a new Seceuroglide garage door? Please get in contact with Wessex Garage Doors today for more information on the range of doors available or what we can do for you. Call the team on 0800 161 3733 and a friendly member of staff will be on hand to talk through the options with you. You might prefer to email us at info@wessexgaragedoors.co.uk and we will get back to you as soon as possible.